No measuring, no chemistry lessons – just open, pour and enjoy. If you’re like most people, you own a spa that holds about 275-500 gallons of water. The Soft Soak TRIO system was made for spas like these; with pre-measured packets that eliminate the guesswork and let you know exactly when to add them. Three products, three months of stress-free enjoyment. A proprietary blend of softening agents creates a noticeably better experience. The average spa user spends 15-30 minutes in the spa per soak. Make that time more enjoyable by soaking in water with elevated softness. 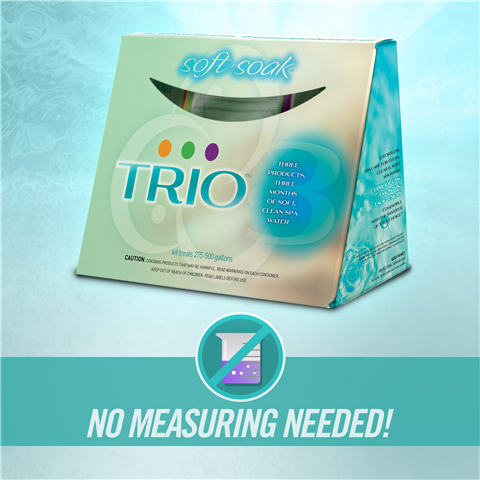 The Soft Soak TRIO system creates a base level at fresh fill and then boosts the softness factor every week. Most TRIO users found the water softness to be “extremely satisfying” when surveyed. The Pool Doctor of Rhode Island is your local BioGuard Platinum dealer and carries a whole line of SpaGuard products and hot tub chemicals to keep your hot tub looking and feeling amazing. 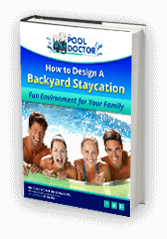 There’s no more knowledgeable or professional staff than the hot tub experts at The Pool Doctor. Get in touch today!